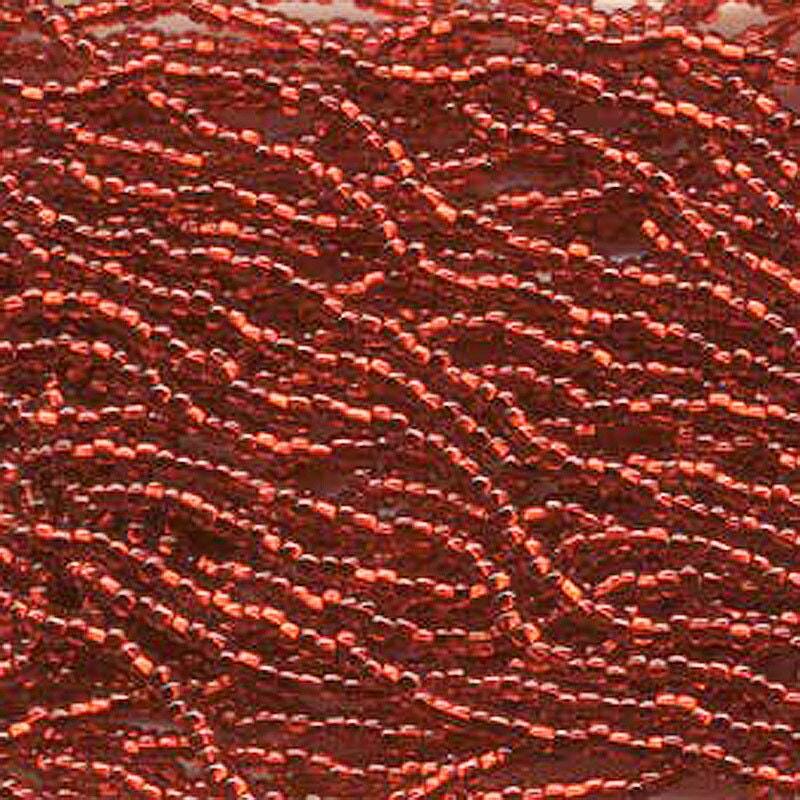 Light ruby silver lined Czech glass seed beads in mini hanks, size 11/0, pre-strung. Hank consists of six 20-inch loops, tied together! Great price! 18 grams.